Birthday parties – for players young and old. Each week we host countless birthday parties, they are great fun, BYO Cake and goodies. Since paintball began it has always been a favourite pastime for those young in age and those just young at heart! Whether you are bringing your friends, sports team, colleagues or family, you can rest assured that you will have a great birthday party at Delta Force Paintball. Each week we host countless birthday parties at our centres across the country. 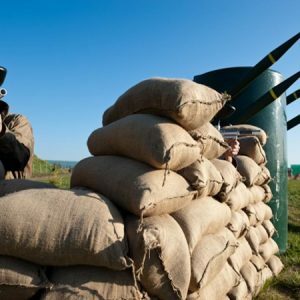 Thanks to our world-class scenarios and invitations available to download, organising a paintball party with us fun and convenient. For the complete birthday experience, feel free to bring along a cake and serve it to the troops for some much needed energy. Our M*A*S*H themed base camp is fitted out with covered seating picnic tables, so you can set up for the day and celebrate in comfort. Even if you are not joining in on the festivities, you are more than welcome to relax in our base camp and wait for the troops to come back from battle. As a majority of our birthday parties include family, safety is a big concern for the event organiser in ensuring all of their guests are well looked after. You can rest assured that our safety standards are second to none. 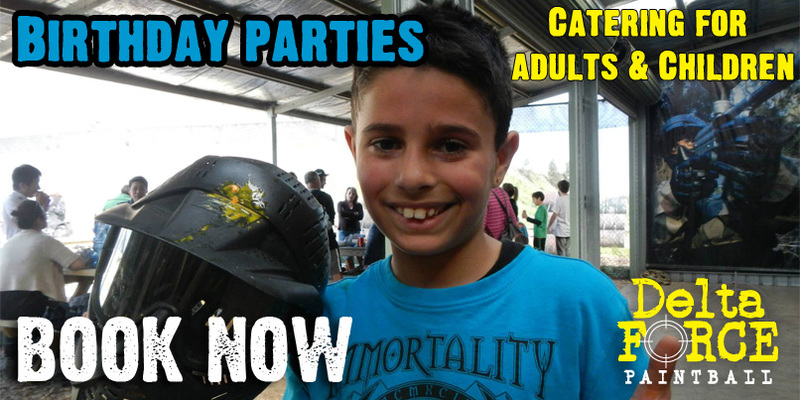 When you arrive at the paintball centre please point out the birthday person to our highly experienced staff. This will ensure they receive some ‘special treatment’ throughout the day, and might even be the lucky recipient of the President’s fluorescent jacket to guarantee they stand out from the pack. 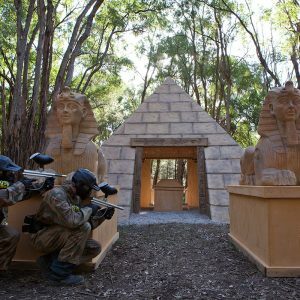 A Delta Force birthday party is full of fun, laughter and is a memorable day out for everyone involved! So what are you waiting for? 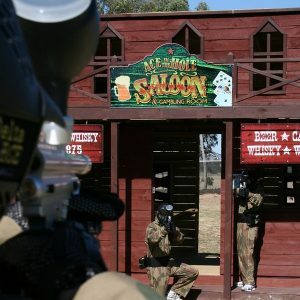 Gather the troops and get them ready for an action-packed Delta Force Paintball birthday party!